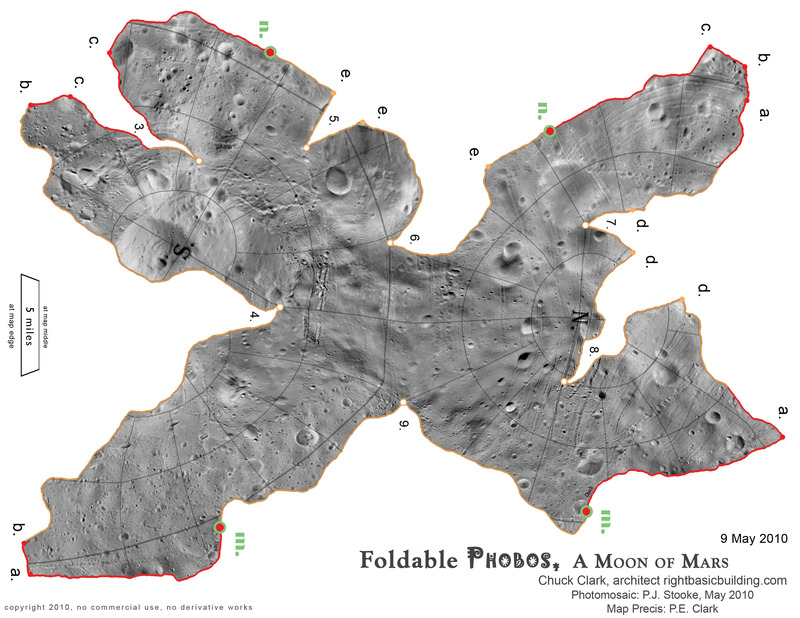 Here is the old Phobos map with Phil Stooke’s new photomosaic. Interesting! Mapping and creating “globes” of such irregularly shaped objects must be quite a challenge.